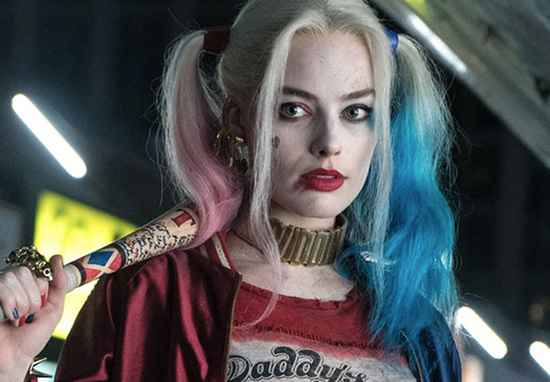 Margot Robbie’s upcoming Birds Of Prey movie has been given an official release date. Warner Bros revealed yesterday, (September 24) the official release date for Bids of Prey is February 7, 2020. The DC movie will see the return of Robbie’s Harley Quinn character from Suicide Squad. Robbie will also be hard at work behind the scenes, as she’s a producer for the Gotham City-based film. According to The Hollywood Reporter, Gugu Mbatha-Raw, Jurnee Smollett-Bell and Janelle Monae are all in the running to play Black Canary, while Margaret Qualley, Mary Elizabeth Winstead and Cristin Milioti are in line for Huntress. The studio is also looking for actors who’ll bring to life the characters Renee Montoya and Cassandra Cain, DC Comics’ fourth Batgirl. Collider report Robbie has spoken in the past about her plans for the upcoming movie, explaining the desire for seeing a girl gang hit the screen. Harley Quinn will be challenged by Black Mask, who’s been confirmed as the film’s villain. In an interview with The Washington Post, Robbie explained how she was unaware of how big Harley Quinn’s fanbase was. I wasn’t familiar with the comics. I had vaguely heard of them, but I had no idea that there was such a big fan-base for Harley. I knew that it would be a big responsibility to do the character justice and satisfy the fans. Robbie’s portrayal of Harley Quinn has got many people excited about the upcoming movie, with hopeful fans taking to social media to express their love for both the actor and character. Oh damn. Mary Elizabeth Winstead & Gugu Mbatha-Raw are testing for the BIRDS OF PREY film with Margot Robbie. Birds of Prey, the Harley Quinn spin-off has an official release date of Feb. 7, 2020 according to @THR.